Originally performed at the Kennedy Center for the unveiling of the Martin Luther King Jr. Memorial, and later as a tribute to Walter Dean Myers, this stirring and inspirational poem is New York Times best-selling author and National Book Award finalist Jason Reynolds' rallying cry to the dreamers of the world. Justyce McAllister is top of his class and set for the Ivy League - but none of that matters to the police officer who just put him in handcuffs. And despite leaving his rough neighborhood behind, he can't escape the scorn of his former peers or the ridicule of his new classmates. Justyce looks to the teachings of Dr. Martin Luther King Jr. for answers. But do they hold up anymore? He starts a journal to Dr. King to find out. In Bed Stuy, New York, a small misunderstanding can escalate into having a price on your head - even if you’re totally clean. This gritty, triumphant debut captures the heart and the hardship of life for an urban teen. A lot of the stuff that gives my neighborhood a bad name, I don’t really mess with. The guns and drugs and all that, not really my thing. Nah, not his thing. Ali’s got enough going on, between school and boxing and helping out at home. His best friend Noodles, though. Now there’s a dude looking for trouble - and, somehow, it’s always Ali around to pick up the pieces. Jade believes she must get out of her neighborhood if she's ever going to succeed. Her mother says she has to take every opportunity. She has. She accepted a scholarship to a mostly-white private school and even Saturday morning test prep opportunities. But some opportunities feel more demeaning than helpful. Like an invitation to join Women to Women, a mentorship program for "at-risk" girls. Except really, it's for black girls. From "bad" neighborhoods. But maybe there are some things Jade could show these successful women about the real world and finding ways to make a real difference. This story is worth the time to listen. 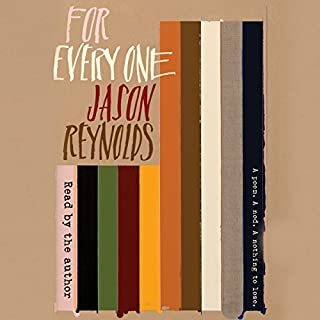 An ode to "Put the Damn Guns Down", this is National Book Award finalist and New York Times best seller Jason Reynolds' fiercely stunning novel that takes place in 60 potent seconds - the time it takes a kid to decide whether or not he's going to murder the guy who killed his brother. Or, you can call it a gun. That's what 15-year-old Will has shoved in the back waistband of his jeans. See, his brother Shawn was just murdered. And Will knows the rules. No crying. No snitching. Revenge. That's where Will's now heading, with that gun shoved in the back waistband of his jeans, the gun that was his brother's gun. He gets on the elevator, seventh floor, stoked. He knows who he's after. Or does he? As the elevator stops on the sixth floor, on comes Buck. Buck, Will finds out, is who gave Shawn the gun before Will took the gun. Buck tells Will to check that the gun is even loaded. And that's when Will sees that one bullet is missing. And the only one who could have fired Shawn's gun was Shawn. Huh. Will didn't know that Shawn had ever actually used his gun. Bigger huh. Buck is dead. But Buck's in the elevator? Just as Will's trying to think this through, the door to the next floor opens. A teenage girl gets on, waves away the smoke from Dead Buck's cigarette. Will doesn't know her, but she knew him. Knew. When they were eight. And stray bullets had cut through the playground, and Will had tried to cover her, but she was hit anyway, and so what she wants to know, on that fifth floor elevator stop, is, what if Will, Will with the gun shoved in the back waistband of his jeans, misses. And so it goes, the whole long way down, as the elevator stops on each floor, and at each stop someone connected to his brother gets on to give Will a piece to a bigger story than the one he thinks he knows. A story that might never know an end...if Will gets off that elevator. Told in short, fierce staccato narrative verse, Long Way Down is a fast and furious, dazzlingly brilliant look at teenage gun violence, as could be told only by Jason Reynolds. ©2017 Jason Reynolds (P)2017 Simon & Schuster, Inc.
Long Way Down by Jason Reynolds, narrated by Jason Reynolds is amazing! I knew it would be....everything I have read by Jason Reynolds has been outstanding. What makes this one even better, though, is the narration. He narrates this piece himself, proving he is talented not only as a writer, but also as a performer! Because of the style of writing (yes, get yourself the book in print, too, because to be able to see these words on paper is just as powerful as hearing them), I don't think anyone could have done a better job narrating this piece than the author, himself. I teach Spanish and English Lit and Composition in an urban setting high school and my students LOVE his work. His characters are relatable, because they ARE my students. His stories are relevant, because they are about THEIR lives. 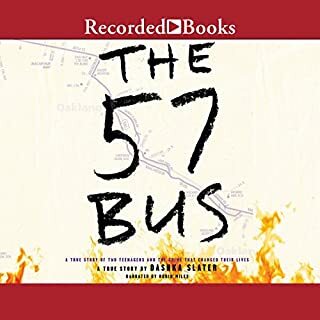 He is an inspiration to so many people - young, old, students, teachers, parents.... Do you know that Jason Reynolds didn't read his 1st complete novel until he was 17 years old? The required texts written into most schools' curriculum do not always reach kids the same way they once did, because our world isn't the same way it once was. It's no surprise that MANY of my students are also 100% NOT interested in reading because they aren't able to make a clear connection with the words on the page. Why not give them something that is real and relevant to their own lives? Something that will engage them and teach them about how others survive in surroundings similar to their own. Jason Reynolds was lucky enough to find inspiration from music, from rappers, because their words spoke to him. The meaning behind those words made a difference in his life. After 19 years of teaching high school in the same district, I can confidently say that I know what my kids need to be successful. My kids need books like this. Down the road after they develop their skills as a reader (and fall in love with reading), then we can think about adding the required texts (Homer, Shakespeare) to the curriculum. This may not apply to all kids in all districts, but it definitely is applicable to mine. 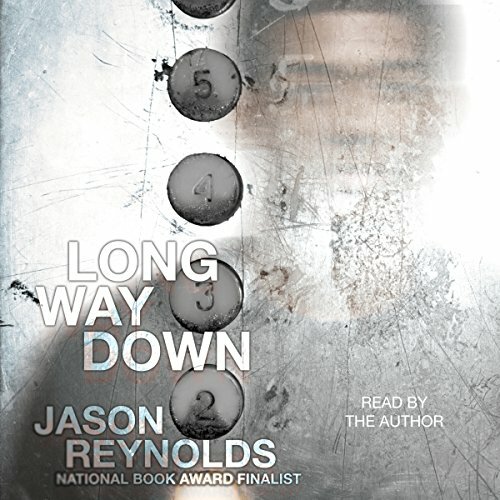 On that note, it is with great pleasure that give a full 5/5 rating, in all areas, to the audiobook Long Way Down by Jason Reynolds. I highly recommend ALL of his books to both teens and adults, and I recommend Long Way Down in both print and audio. By the end of the school year, our class goal (in my English 9 class) is to have read all of his books. So far, we have completed and discussed two of them, together. We are well on our way to becoming the most engaged readers in the whole school. Thank you so much for all you do for teens (and their teachers, too!). Keep up the great work...you have changed the way my students communicate with one another, you have positively influenced their decisions, and you have helped them become more successful in the classroom. You are an inspiration, and I cannot thank you enough for all you do. You are greatly appreciated! Don't just take my word for it, though. 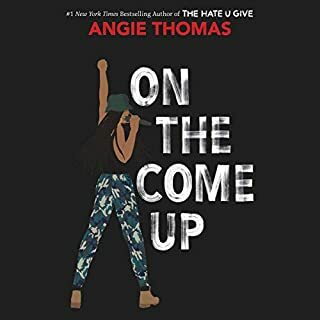 Get the book, get the audiobook, hear the words, absorb the meaning. This is more than just words on a page. This is the reality our young people face and struggle with everyday in our world. If your daily interactions don't include spending time with or interacting with kids (kids like the main character, Will, in Long Way Down), this is your chance to expand your knowledge. Authors like Jason Reynolds write to give a voice to those who aren't always heard. It's time we all start listening. Today is that day. Let us not let it take any longer to be truly Understood. Pardon my efforts at writing a review in the style of Jason Reynolds’ Long Way Down. Beyond the novel itself having a great impact, the style in which it is written can be nothing but inspirational. Written completely in narrative verse, Long Way Down belongs to a tradition of young adult novels that manipulate form as a way of reaching new levels of impact. 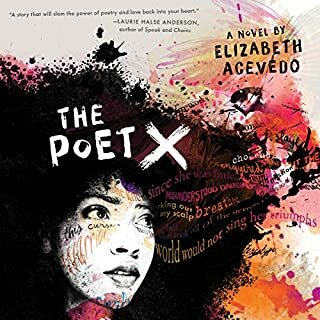 This novel fits perfectly on the shelf alongside the works of Ellen Hopkins, Jacqueline Woodson, Rainbow Rowell, and Owen Matthews. Long Way Down tells the story of William Holloman, a young black man on the cusp of making a life-changing decision. As the novel opens, readers learn that Will’s brother Shawn has been shot and killed in what is likely a gang-related incident. Following a list of rules he has been taught from a very young age, Will stoically sets out to get revenge. The bulk of the novel takes place in the one minute and seven seconds it takes for Will to descend in the apartment elevator. The elevator makes unexpected stops at each floor along the way; stops that serve as chapter/section changes within the overall novel. At each floor, another person enters the elevator. These people each have advice, stories, and/or legacies for Will to comprehend. The question is, however, is Will too hyped up to assimilate them? Long Way Down is a coming-of-age novel. It says volumes that unlike the Victorian Bildungsroman, this contemporary version distills events down to a crucial, yet brief, time-frame. This is no life-to-death narrative – or more accurately, if it is a life-to-death narrative, it is one that spans the course of less than two minutes. Such is the tough destiny for young men of color in our modern age. More than anything, Long Way Down is a story about family – the natural family one is born into, the chosen family one surrounds oneself with, and the communal family of the world. Jason Reynolds wants us to believe – to know – that these are not mutual exclusive categories. Jason Reynolds wants us – needs us –to embrace our humanity. We can never walk in another’s shoes, but we can feel empathy for the journey those around us are taking. Over the course of Long Way Down there are turns of phrase that will resonate far beyond the pages of the book. Like all poets, Reynolds is careful with the words he chooses, with the sounds they make, and the meanings they convey. Long Way Down can be read in just a few hours, but the beauty and power of these words will have readers slowing down to savor them and turning back to experience them multiple times. Look, there are no easy answers in Long Way Down. In fact, I will go so far as to say that there are no answers in the book at all. The answers lie in your heart as you experience the novel – as the novel changes you. Reading Long Way Down is a profoundly moving experience one I hope that the book’s intended audience finds and savors and embraces as their own. The poetry on these pages goes toe to toe with the best rap lyrics out there. But we must not overlook the impact this novel can have on those who were never its primary audience – regardless of age, race, gender, or creed – Long Way Down has much to teach us all. I honestly have no words to describe how incredible and impactful this book is. Jason Reynolds' writing style is so powerful. I'd recommend this to anyone. This book is sad but so real. It’s a must read for not only the younger generation but for every generation! We’re all just a little ripple on a pond, EVERY decision we make effects everyone around us! Great, beautiful and heart wrenching story!!! Wow, totally out of my experience and normal comfort zone, but want to turn around and listen again! The tightness of the text within the free verse synthesized to bare essence and emotional confusion and pain were what was most compelling for me. I surely do not enjoy discomfort. I sense this culture more than exits within my community. I abhor violence but because of its recent awards felt compelled to give this title a chance. Not sorry. Bless the author narrator who owns the thoughts and words and bless Audible for making the match happen. 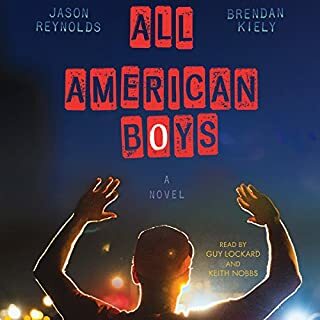 Am looking for other titles by Jason Reynolds immediately. Thank you for writing and narrating your beautiful book. Your words and poetry are nothing short of moving. What an outstanding, timely read. This was a quick listen, well narrated by the author, which is always a treat. Definitely a timely piece that forces the reader to be introspective about why these things happen. An important addition to today's YA genre. 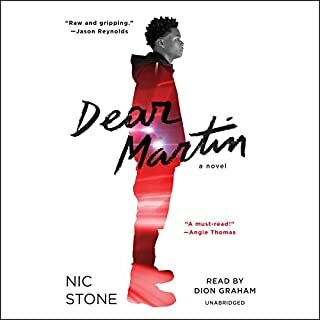 Beautiful, lyrical, and raw story of youth, grief, decisions, and consequences. The poetic verse, told in everyday vernacular, makes the story more real, more urgent, and more heartbreaking. Reynolds takes readers/listeners on a ride through Will's mind, as he decends deeper into the foundation of all his conflict. Long Way Down takes us deep within Will's world, and forces us to look way down deep within ourselves. Masterful work! First, I listened to it. Then, I checked out the hard copy of it from the local library, while I checked my mailbox everyday for my Amazon copy. Of course, I listened to it again. Not pacified after I annotated every page, I got the Kindle edition. To create the plot creatively linking all characters with every corner of figurative language was a helluva work of art. It's more than well done.